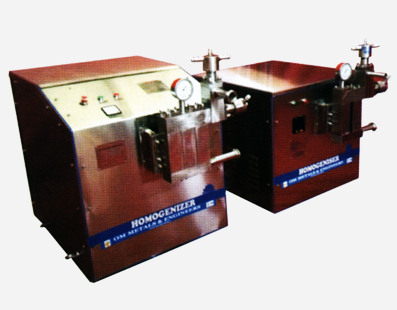 For years, OME homogenizers have been enabling the most cost-efficient homogenizing on the market. In recent years, we have built on our own pioneering design and engineering excellence to create a new generation of homogenizers that increase cost efficiency and reduce environmental impact, without compromising food safety. Compared to conventional homogenizing devices, the disc has a larger diameter and a geometrical design that is optimized for high efficiency. It enables lower pressure and so uses less power, yet it still achieves the same product quality. This reduction in pressure also lowers the total load on the machine and enables longer service intervals. The homogenizer is designed in such a way as to make the working parts easy to see and access for maintenance and service. For example, the front hood has a lock on each side, which makes it easy to open. Once opened, operators have full access for service of the wet-end parts. Similarly, the drive unit is easily accessed by unlocking the side door, and the hydraulic unit and crankcase are accessed simply by lifting off the two back panels. The pipes for the piston cooling circuit are placed in the cylinder bushing, which means operators do not need to disconnect the cooling water pipes to carry out a service. This saves time and effort, and so contributes to higher uptime.